Zaccaria Pinball (Magic Pixel, Free ) - Zaccaria was founded by three brothers (Marino, Franco, & Natale) and was the 3rd largest manufacturer of pinball machines in the world (behind Bally & Williams). They had created and produced more than 35 different pinball machines between 1974 and 1987. 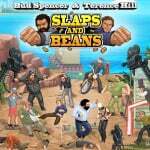 Bud Spencer & Terence Hill - Slaps And Beans (Trinity Team, €20.00 / £17.99 ) - Bud Spencer and Terence Hill in their first virtual adventure. A brand new story! Whether in the Western Saloon, Miami Downtown, at the fairground etc... you'll get the full load of funny conversation, slaps and of course lots of mass brawls. Arcade Archives OMEGA FIGHTER (HAMSTER, €6.99 / £6.29 ) - “OMEGA FIGHTER” is a shooting game released by UPL in 1989. 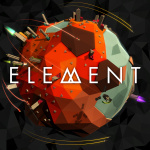 Use two kinds of Shots and a variety of items to defeat the enemies invading Earth and destroy their giant mothership. As enemies are approached and destroyed, your score increases in an intense shooting system that garnered many fans. 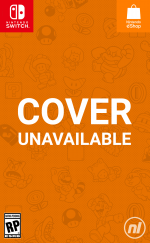 *This version includes OMEGA FIGHTER SPECIAL MODE and OMEGA FIGHTER SPECIAL. 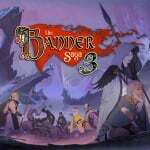 Banner Saga 3 (Versus Evil, €14.99 / £13.49) - Banner Saga 3 is the final dramatic chapter in the mature, story-driven Viking RPG series which has won over 20 awards and has been nominated for 4 BAFTA awards. As the world continues to crumble around you, who can you trust, how will you protect your allies and what choices will you make as the Darkness draws near? 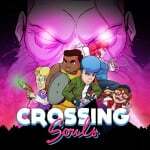 Crossing Souls (Devolver Digital, €14.99 / £13.49 ) - Crossing Souls is an action-adventure set in a California suburb in the midst of a supernatural event that rocks the small community as grand forces siege the town. 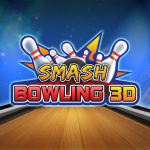 Control five characters and use each character's specialties to overcome any obstacle. 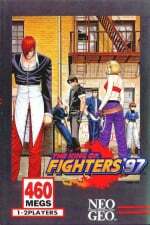 Fight in real-time, solve clever puzzles, face off against powerful bosses and play special levels inspired by 80's arcade video games. Dawn of the Breakers (CyberStep, Free) - Defeat the impending menace, the mysterious "Ghouls"! Utilize new abilities with each transformation of your Heroes! Discover the fate that awaits a young man afflicted with amnesia... Embark on an unpredictable journey! Piczle Lines DX 500 More Puzzles! (RAINYFROG, €8.49 / £7.64) - Couldn't get enough of Piczle Lines DX? This is another Piczle Lines game with 500 new and sometimes feisty puzzles to wrap your mind around. Draw lines to connect pairs of numbers to complete a hidden picture in this feverishly addictive PICture puzZLE game! Connect numbers of the same colour, using the same number of blocks as the number! 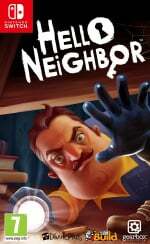 Hello Neighbor (tinyBuild Games, €39.99 / £35.99 ) - Hello Neighbor is a stealth horror game about sneaking into your neighbor's house to figure out what horrible secrets he's hiding in the basement. You play against an advanced AI that learns from your every move. Really enjoying climbing through that backyard window? Expect a bear trap there. Sneaking through the front door? There'll be cameras there soon. Trying to escape? The Neighbor will find a shortcut and catch you. WarioWare Gold (Nintendo, €39.99 / £34.99 ) - The latest in the WarioWare series is coming to Nintendo 3DS family systems! Which means, there’s a new way to play Wario’s strangely satisfying microgames. With classics and new additions, there are 300 microgames to enjoy, making this the biggest entry in the series! 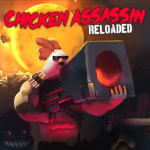 Press buttons, tilt the system, use the Touch Screen and microphone, and dig that crazy action while it’s hot! Crush Your Enemies! (Vile Monarch , €7.99 / £7.19, pre-order from 23/07/2018) - Pre-Order until 02/08/2018, 14:59 CEST Game description: Jump right into battle and use your rusty strategic and tactical skills to crush hundreds of enemies within minutes! Crush Your Enemies has everything you like in strategy games: planning, choosing different types of units, managing resources, taking enemy territory and outwitting your opponents with the ingenious formations of your men. SNK Heroines Tag Team Frenzy (NIS America, €49.99 / £39.99, pre-order from 24/07/2018) - Pre-Order until 06/09/2018, 23:59 local time Game description: Fan-favourite heroines from SNK gather together for 2-on-2 tag-team action in SNK Heroines Tag Team Frenzy on Nintendo Switch! 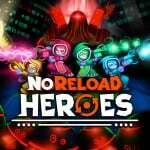 Flat Heroes (Deck13 Interactive, €9.99 / £8.99, pre-order from 26/07/2018) - Pre-Order until 02/08/2018, 14:59 CEST Game description: Flat Heroes rewards you with that good old feeling of surviving impossible levels alongside a smooth modern design with a minimalist style. 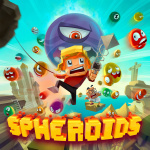 With a simple set of movements and delightful controls, Flat Heroes encourages you to stylishly navigate and survive over 300 handcrafted levels, destroy the most epic bosses around and truly be the two-dimensional hero (or heroes!) you’ve always dreamed you could be. I want to get the Mega Man X Legacy collection titles as physical, but I'm not sure that they exist in any territory. Why is this so late? NintendoEverything had this list literally 24 hours ago? 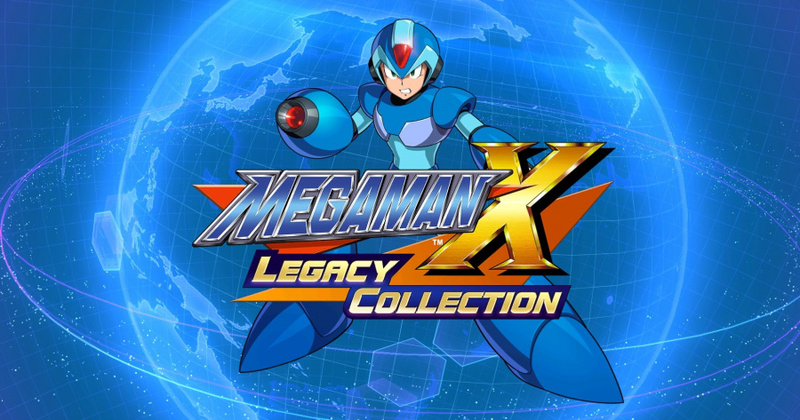 Also I’mma gonna get the X Legacy Collections, but only once I’ve finished the Classic Legacy Collections first. "Friday is the new Thursday" why, because you couldn't be bothered to post it lol? it was everywhere else at like 5pm yesterday. @RupeeClock You can get them both in a collection in Japan (1 is card, 2 is dl code) OR you can by X1 and X2 separately so both are on cards. Of course, it's called Rockman over there, but I think there is an English option - you can between Rockman and Megaman. @RupeeClock As @GrailUK already said. I’m waiting for absolute confirmation (video or image) from someone who imported them to confirm the Japanese carts have english text. Not to mention I’d prefer Japanese voices (although I suspect the cutscenes may lack subtitles). That's a lot of links! Appreciated. Only.. 25 hours late. Funny thing don't think that is a new record either. It's getting to the stage where I am hardly bothering to visit this site any more....... it used to be multiple times a day. I realise we look like massive douches for posting the EU update so late, but we did only receive the UK press release late this afternoon. You can blame Nintendo UK for our tardiness! 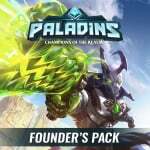 I’ll download Paladins later today. I’ll probably buy the physical version of the Mega Man X games when it goes on sale. I’ve yet to play any Banner Saga game, so it’ll be a while before I play 3. Other than that, nothing new for me. You can get it from Japan separately. Don't buy the bundle as it's DL code like in the West. Waiting for confirmation if it has English option though. @PorllM @XenoShaun @HappyRusevDay @gaga64 We base this off the official press release we get sent by NUK's agency. The lists elsewhere were, I assume, done by looking at the new releases on the eShop. Our list is more complete as it features all the discounts. I've looked on Play-asia, and didn't see the individual physical releases listed, just the bundle with the download code. It's a bother that apparently Europe didn't even get a physical release for the first game. Played Paladins for a bit earlier, was really uncomfortable with the way it constantly pushed its micro transactions. 'Purchase with a' even during game transitions, it also seemed heavily pay to win, will never touch it again. I don't mind micro transactions in a free to play game, they have to make money somehow, but it was obtuse. @Damo So in that regard, is it that Nintendo are sending these lists out late or is the workload getting the post made too much? Genuinly interested. Don't mean to come off at making digs at you guys all the time for these updates. @Damo @Dazza fair play. Apologies if my comment came off as harsh, it wasn’t intended as such. Not sure why you guys bother with Play Asia where they jack up their prices on highly sought items. Here's X Collection 2 from Amazon Japan. There's an English language option at bottom of the website. Price will be lower by like 5% on check out since we're not paying their tax. But you'll be charged with 20-22% EU tax for items higher than 22 euros. Shipping will be DHL (at least here in Italy). Also got the Rockman 11 amiibo preorder 2 weeks ago but it's sold out now. Some Smash amiibo restocks are available for preorder now as well along with the 3 new ones for December release. 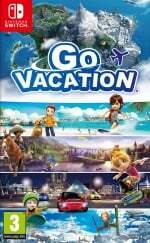 What are the best recommendations from the discounted games? @RupeeClock @BensonUii Just want to give a +1 to Amazon Japan over Play Asia, along with being generally cheaper they are also far faster than Play Asia. In comparrison, my Play Asia orders normally took 2-3 weeks to arrive, while Amazon Japan it was often 3-4 days. (From Japan to UK). I've imported quite a lot via Amazon Japan due to their far superior service. 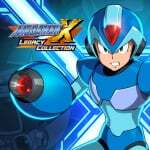 Downloaded the Mega Man X collection and my God these games are terrific. Was planning on getting the 2nd as well but after watching gameplay of 5 - 8 decided to pass. The first 4 are fantastic though, highly recommended!! There's AmiAmi too (videogames, figurines, merchs, etc) but you can't cancel orders without contacting support in which they'll warn you that they discourage excessive cancellations. HLJ is way better as you cancel anytime and keep your already available orders for 60 days on their virtual "private warehouse" then combine with other orders later. But they only sell merchs, figurines and amiibos (no games/software). Both AmiAmi and HLJ have the shipping options to go normal mail (2-5 weeks), EMS (3-5 days), or DHL (2-3 days) with varying prices. Oh, and they'll only charge you when your orders are ready to ship. @XenoShaun We never got the email and had to chase NUK today for the list, which we didn't get until quite late today. @Damo That's really sucky. Nintendo Europe seem to have gone quite downhill with their weekly store update press releases since we lost our Monday slot. @Eef Really? It isn't too bad for me, at least comparatively to Play Asia. @BensonUii I've not heard of either place before so I'll definitely check them out. I've never really been big on importing in general until past year or so, so am still rather new to what are the best places. Wario Ware Gold. Sounds like a lot of fun. I downloaded Paladins and Unepic this week. Having fun with both. @BensonUii Then you have to investigate why you were sent the official list 24 hours later than the other Nintendo sites. To get the item from Amazon JP, it looks like I'd need a new account separate from my UK account? What really counts is if the Japanese versions can indeed be played in English, then I'd be all over them. I got the RockmanX and it has a EN option also it can change the name to MegaManX but for some odd reason if I start the game it Auto plays itself I get no option to play or start. Yep, you need to create a new account. For me, I created the same account/email I used on my Amazon Italy account (which works on other Amazon countries like US, UK, FR, DE, ES, etc). It just treats Amazon Japan separately. You need to change the language to english first which can be found at the bottom of the page so you won't have trouble navigating. Majority of the listed items will still be on Japanese. Btw, here's the base Okami HD physical Switch version. They say the game has English options. 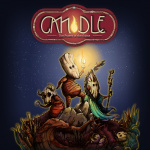 There are other bundle options like with CD soundtrack etc. But the base version doesn't reach the 22 euro threshold so I won't get charged 22% EU tax. Item is currently listed at ¥2,636 (€20.34) but it's only ¥2441 (€18.83) on checkout plus ¥1876 (€14.47) shipping (probably DHL like my previous orders) for a total of ¥4317 or €33.31 on current exchange rates. I just checked Play Asia and they listed the game at €26.50. I think this has already been explained? The other sites weren't sent the list either... they cobbled it together from what they saw on the eShop. I actually prefer the way that NL do it... wait for the official and full list from the horse's mouth. Yeah, they are only quick nowadays when they can offer Amazon "deals" (for their own benefit). And fake news/clickbait. Mediocre! Gonna dust off my 3DS for wario ware gold. Really enjoyed the demo! Might pick up Detention on the Switch while it's on sale too. 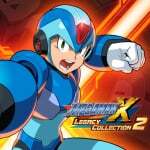 I found confirmation that Rockman X Legacy Collection 1 and 2 individually have multi-language support, so I went ahead and placed an order on Amazon JP, it went smoothly. Thanks for the guidance, it looks like I won't receive the game for a few weeks or months, but that's okay. The Legacy collection 2 is available now. The collection 1 is the one waiting for a restock. Unless you ordered both and combined them for cheaper shipping. @BensonUii Yeah, I ordered the two physical games and opted for combined shipping, I can wait to play the games. I made sure to not get the 1+2 version that just has a digital code for the second collection. That'd be no good to me at all.